Worldviews of a Hidden One: A Dream come true.. meeting the Hot Rod! Just about a month ago I heard about the Movie Days/Dark Zone Event that is happening this weekend in the Westfalenhallen in Dortmund, Germany. It was announced on their flyer, that my all-time favorite Wrestler - Rowdy Roddy Piper - would also be there. So I thought: "I simply have to go there". (Now I haven't been to Dortmund since a School trip in 1999, so I had no clue what awaited me on my travel by the S2 and U45 trains to get from the train station in my city to the Westfalenhallen in Dortmund). During the event autographs were given, stories were told and pictures were taken. Roddy was so nice and friendly to everyone, from the smallest children to adults who could only communicate in sign language. He was so sweet and so down to earth, taking time to talk to everyone and not wanting to leave the stage until the promoters of the event literally dragged him away! He sure loves his fans, and his fans love him too! To see some videos of the Hot Rod and other bits of the Movie Days/Dark Zone event, check out my YouTube channel in the coming days. 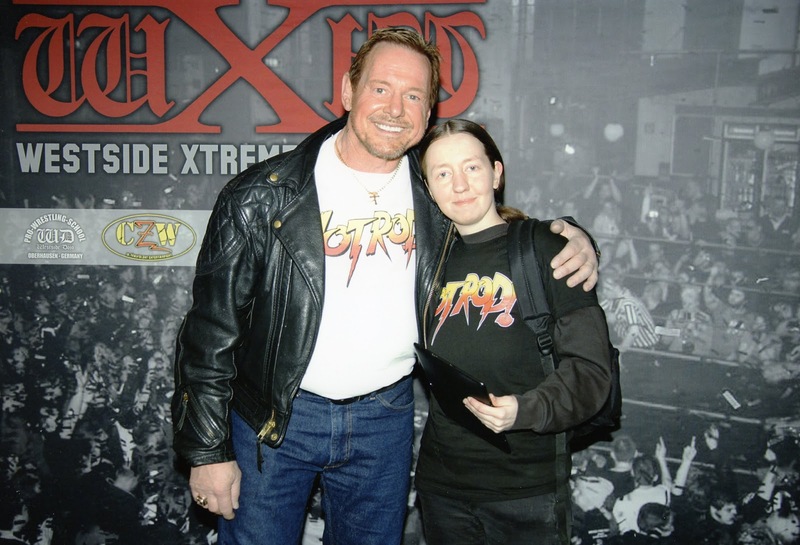 Thank you so much, Hot Rod, for an unforgettable day at the Movie Days/Dark Zone in Dortmund on March 23rd, 2013.